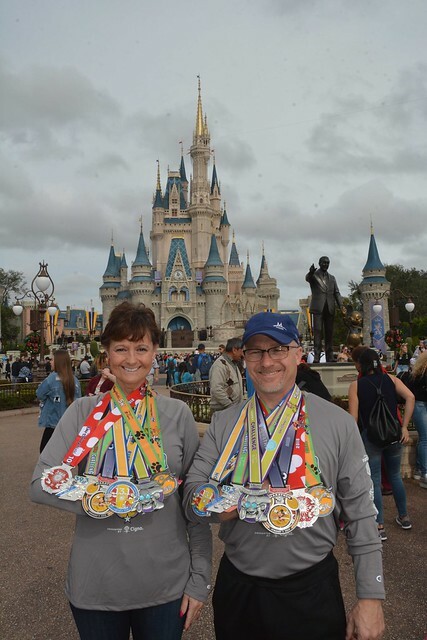 Hello, all and welcome to my newest Trip Report chronically our recent trip for the 2019 WDW Marathon Weekend. If you’ve not read any of my trip reports before, allow me to introduce the cast. I’m Gisele. 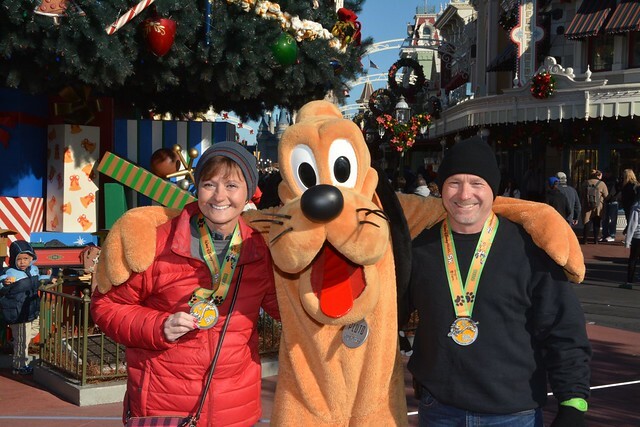 I’m a 54 year old runner who came to the sport rather late in life at the age of 48, and I have the best running buddy in the world, Chris, who is a great support to me and indulges my Disney obsessions plus slows down his running to keep me company. I mean, how much more can you ask? 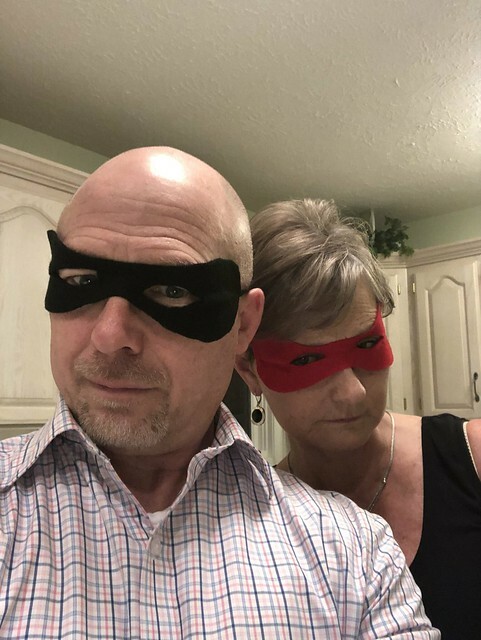 The masks are a little hint (as is the title) to our costume reveal for the marathon. Hopefully you’ll recognize us later in our unmasked pictures!! Last year, we opted to do the Dopey Challenge which consists of running a 5K, 10K, Half Marathon and Full Marathon on consecutive days. It was an amazing time last year, but this year we decided we didn’t want quite that many early morning wake-ups and instead opted to do what we liked to call, The Mouse Challenge. That is the 10K (Minnie Mouse themed) race and the full marathon (Mickey Mouse themed) race for our trip this year. So there you have it for an introduction. I hope you settle in for the rest of the report and enjoy!! disneydaydreamer33, tammy, iivye and 19 others like this. Yay!! Happy to be here! I'm so ready for all the trip reports. Chris-Mo and ZellyB like this. I am here and cannot wait to follow along! Yay!! Happy you are here!! Super excited to read along, especially now since we’ve officially met!!! I need to have someone send me my pictures from my photo pass because my AP doesn't come with it, so I'm waiting on that for now. Haha. Chris-Mo, rteetz and ZellyB like this. Glad you are here and that we got to meet! Woohoo! Glad to have you here! Following along. I enjoyed meeting both of you!! !